How to hide your WordPress login URL. If you are using WordPress you will know that when you want to edit your WordPress website you need to login to the back-end of WordPress. For example if I wanted to login into my site the WordPress login URL would use would be http://www.2createawebsites.com/wp-admin. When you create a WordPress website the wp-admin will always be after your domain URL and hackers know this. Credit To Steve Hart – WordPress Tips And Tricks – Hide Your WordPress Login URL – Track 34 – Genre: Talk. There are lots of different ways to protect your WordPress website from hackers. But if they can’t login because you have changed your WordPress login URL your site will be that much safer. It’s one more thing they have to try and find. Listen to the podcast above presented by Steve Hart where he talks you through the easy process of changing your login URL. Please make sure you save the new WordPress login details as if you forget them you will not be able to login. Its a good idea to save the new link on your computer as well as have a external hard-drive and save the link there as well in case your computer crashes. To change your WordPress login URL Steve asks you to do a search for the WPS Hide Login WordPress plugin. I have already done the search for you and here is the link. Step 1. Go to your admin page. Step 2. 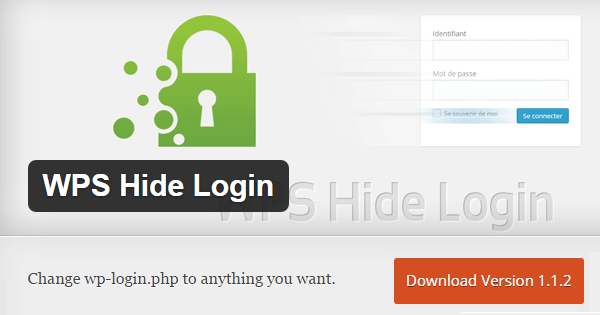 Go to plugins and search for WPS Hide Login and install the plugin. Step 3. Next activate the WPS Hide Login plugin. Next go to your setting in the admin area and scroll down to the bottom where it says site language you will see a new item there WPS Hide Login. You will see your login URL then a white area where you can type your new login details. Make sure you use 20+ characters. Once you press save changes that will be your new login URL. Make sure you write it down somewhere and keep a copy, even email it to your self. Remember if you loose the login URL you will not be able to login to the back-end of your site.